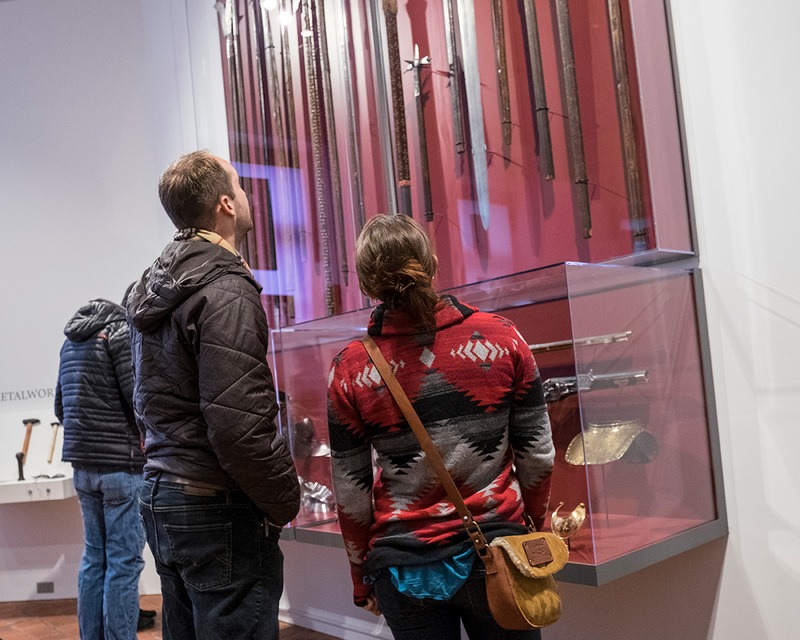 The newly reinstalled medieval galleries combine the Worcester Art Museum's outstanding collection of ecclesiastical artwork with the chivalric arms and armor of the John Woodman Higgins Collection to tell a new story for 21st-century audiences. Featured are approximately 100 works of art, new interactive elements, and open-storage access to a wide selection of objects. Highlights include a rare suit of jousting armor, a wooden statue of St. George and the Dragon, and the newly restored tomb effigy of Lady Francesca de Lasta of Naples. The renovations have also re-opened the gallery windows to let natural light back into the space and installed floor lighting to illuminate the Museum's spectacular 15th-century Spanish ceiling. Digital interactives and hands-on experiences allow visitors to explore these rare and beautiful objects from multiple directions, and to explore the medieval world through tales of castles, towns, and monasteries, of bishops, knights, and nuns, and of the trade routes that connected the cities of Europe to the Silk Roads and Timbuktu. The renovation and reinstallation of the Medieval Galleries has been supported in part by grants from The Manton Foundation and The Samuel H. Kress Foundation, and by sponsorship from Reliant Medical Group.